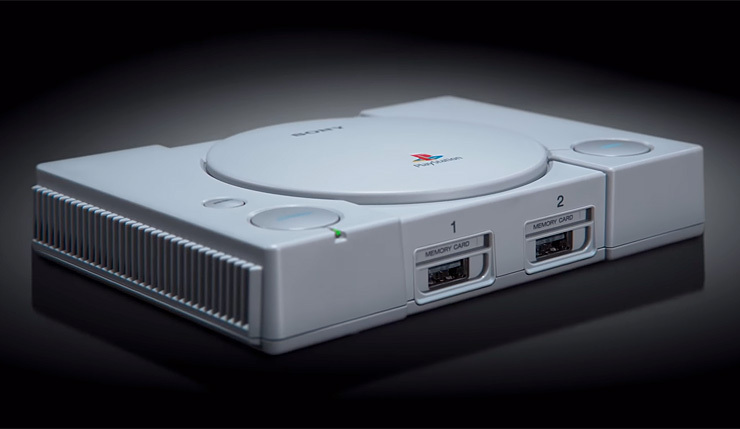 The PlayStation Classic set to launch next week, and Sony has revealed a few new details about the much-anticipated mini console. But first, how about a closer look at the machine? Sony has released a PlayStation Classic unboxing video, and it’s confirmed – the console is cute as heck. Check it out, below. Controller cable length is only 1.5 meters, or around 4.5 feet, which is longer than the NES Classic’s notoriously short 3-foot cords, but shorter than the SNES Classic’s 5-foot cords. Two-player multiplayer is supported in the following games: Battle Arena Toshinden, Cool Boarders 2, Destruction Derby, Intelligent Qube, Mr Driller, Ridge Racer Type 4, Super Puzzle Fighter 2 Turbo, Tekken 3, Tom Clancy’s Rainbow Six, and Twisted Metal. For our European readers…most of the PlayStation Classic games are NSTC format, but Battle Arena Toshinden, Cool Boarders 2, Destruction Derby, Grand Theft Auto, Jumping Flash!, Oddworld: Abe’s Oddysee, Resident Evil Director’s Cut, Tekken 3, and Rainbow Six are in the old PAL format. That, unfortunately, means their refresh/frame rate will be slower. The PS Classic only works with the two included controllers – neither the DualShock 4 or your old PS1 controllers are compatible with the system. Multiple disc games like Final Fantasy VII and Metal Gear Solid will require you to push a button on the system when you reach the end of a virtual disc. Each game gets 15 virtual memory card save slots. In order to create a temporary save state, players will have to hit the reset button on the console. Those are the most important new revelations – check out Sony’s full PlayStation Classic FAQ here. So, What do you think? Will you be picking up a PlayStation Classic? As a reminder, here are the games included in the system: Battle Arena Toshinden, Cool Boarders 2, Destruction Derby, Final Fantasy VII, Grand Theft Auto, Intelligent Qube, Jumping Flash, Metal Gear Solid, Mr. Driller, Oddworld: Abe’s Oddysee, Rayman, Resident Evil Director’s Cut, Revelations: Persona, R4 Ridge Racer Type 4, Super Puzzle Fighter II Turbo, Syphon Filter, Tekken 3, Tom Clancy’s Rainbow Six, Twisted Metal, and Wild Arms. The PlayStation Classic hits shelves on December 4 with a price tag of $100.